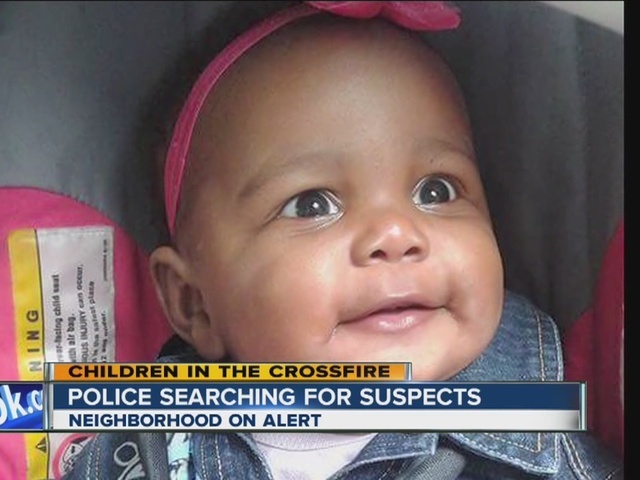 Some residents living near the neighborhood where 5-month-old Aavielle Wakefield was killed said they're looking at changing their driving habits through that area. Wakefield was killed after a hail of gunfire was fired into her mother's car on E. 134 near Kinsman Avenue on Oct. 1. Danisha Whitfield told newsnet5.com she's so fearful about driving her two-year-old daughter Gabriella around in the backseat, she put up this sign on the back windshield. It reads, "Please don't shoot, I have a two-year-old in here #JusticeForCleveland." "I put the sign up so people on the streets, when they see me driving around, maybe they'll take two seconds and think about their actions before they pull the trigger," said Whitfield. Awnteka Sanders puts in dozens of miles in that same neighborhood every week as a driver of an RTA shuttle for the elderly. She also has two young children. The terrible shooting has her being extra aware of her surroundings when she's on the road. When I go and pick up my passengers and things like that, I'm constantly looking over my shoulders and things of that nature," said Sanders. "You never know what's coming at you."